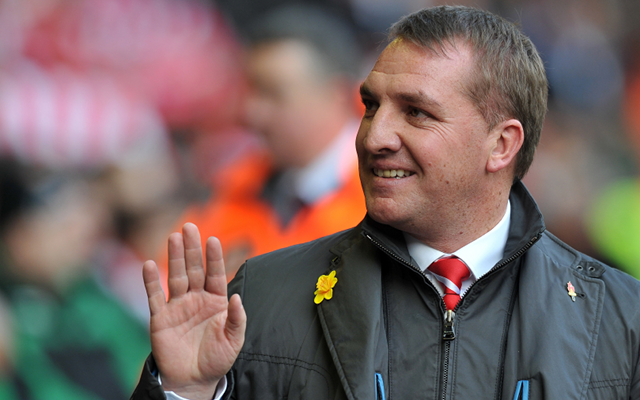 Liverpool manager Brendan Rodgers believes it will take time to improve the club’s fortunes. Brendan Rodgers believes it could take years to get Liverpool back into the Premier League top four, he told Sky Sports. The Reds boss took over at Anfield this season as a replacement for Kenny Dalglish, and has made some progress in taking the club in the right direction, moving them closer in points to the teams above them. Although Liverpool were victorious in the Carling Cup last term, that did not fully succeed to gloss over a poor season domestically, where they failed to score goals and finished in a disappointing 8th place. Ahead of this weekend’s clash with Chelsea, Rodgers pointed to the money that the Stamford Bridge outfit have had to spend to better their 6th place finish last year, and the fact that they still might struggle to achieve a Champions League place themselves. “I am very hopeful we can meet the challenge going forward and we can try to be a consistent team to get into those top four places,” Rodgers said. “But it is a big ask and you only have to look at Chelsea themselves. “They finished sixth in the league last season and they had a net spend of over £71m in the summer in order to try to get back into that top four. “When you look at the other teams around that (the top four) it is a big ask for us. Rodgers hopes the fans will sympathise that he simply does not have the money to work with that Chelsea have, and that he will do his best to build a team up over the coming seasons. “Without that lightning bolt of investment you have to build and coach your way towards it and mould the team,” he added. Liverpool are currently 7th in the table, six points behind local rivals Everton, and have been one of the in-form teams during the second half of the season.